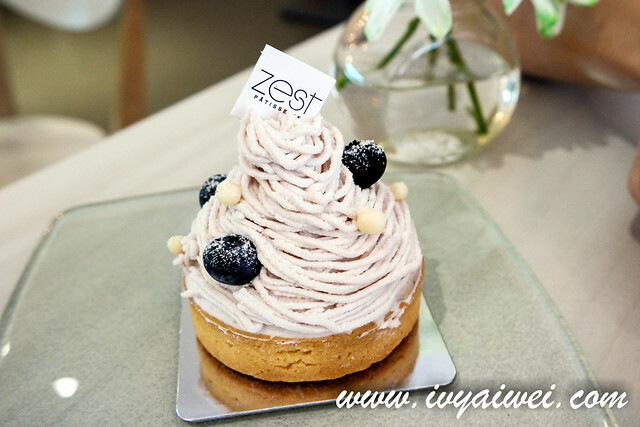 It is a pain to see the patisserie are all populated in PJ, KL area, because I am unable to reach there in minutes. 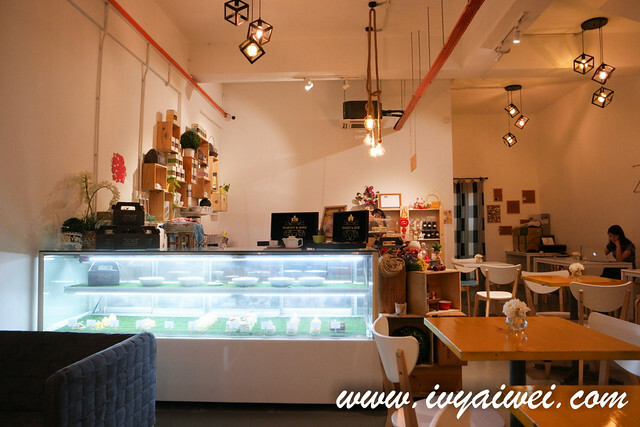 Not now anymore as there is a good patisserie popped up some times ago in a quieter hidden side of Connaught area, in Cheras. 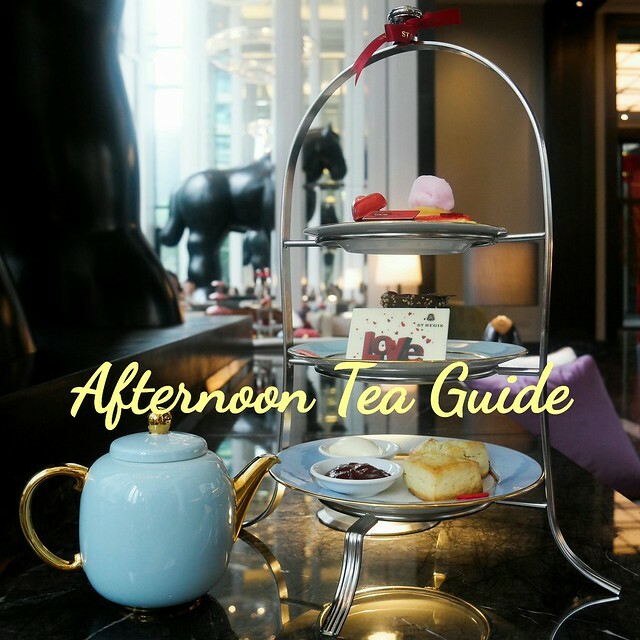 And, it is now my frequent places for afternoon tea or after work chill out place. 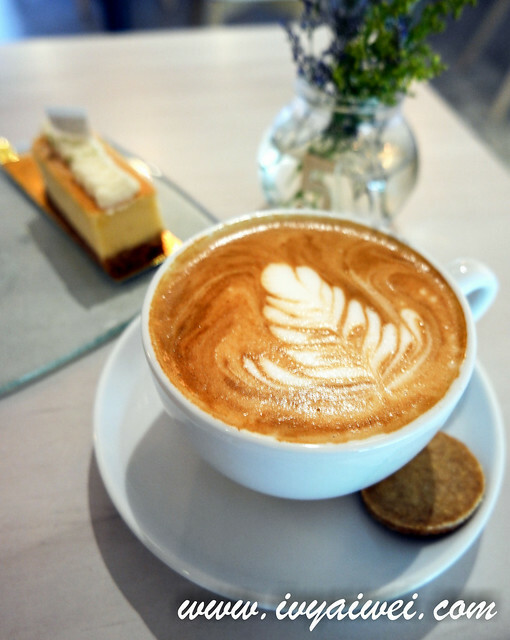 Manned by the young patisserie chef, Yixiang; this is the place he showcases his dainty creations using the modern technique. This young man is pretty daring. 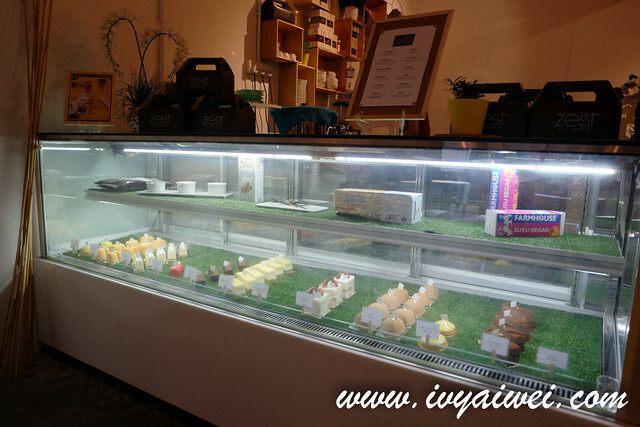 Some of his creations are incorporated with elements such as ginger, santan, chili, lemongrass and etc. Using Elle & Vire butter and cream, Callebaut chocolate, and everything fine. 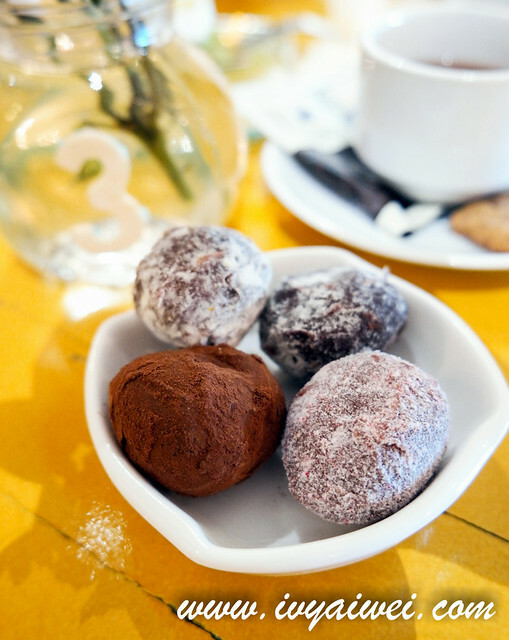 No secret, the basic ingredients were all in the showcase earlier but now, their home made chocolate truffles have replaced in the area. 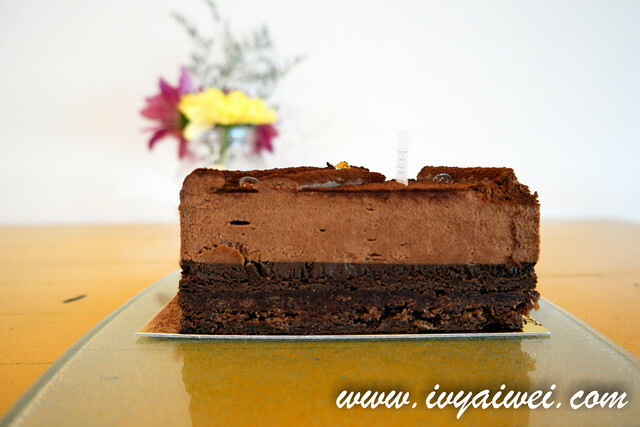 The cakes are priced from Rm 13.8 to Rm 15.8 and chocolate truffles are priced at around Rm 2. 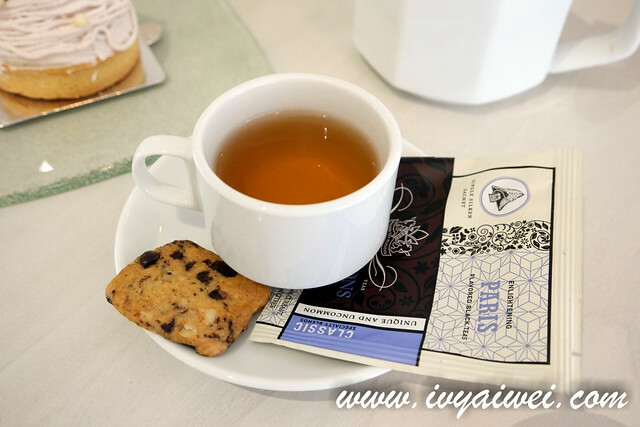 Or a pot of Harneys & Sons tea. 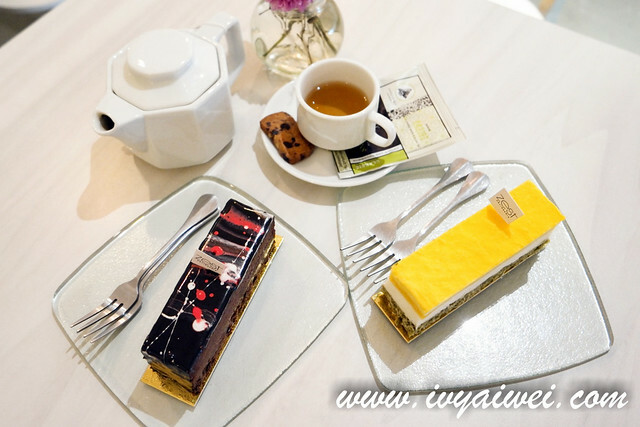 Get the set of cake and tea at just RM 19.9, and be spoilt with the variety of tea available. Joy and excitement arise and I revisited a few times to try out more. 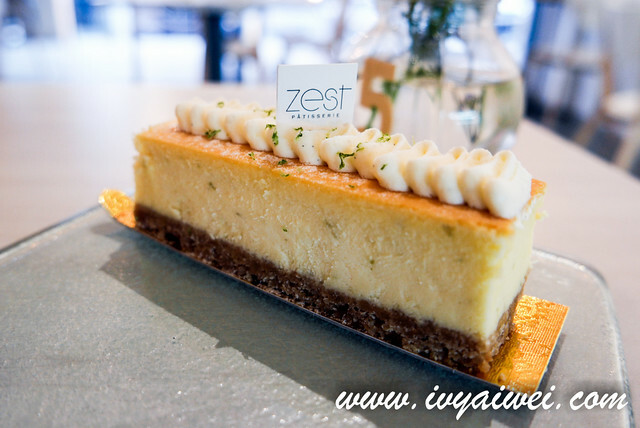 Hinted with citrusy lime flavour and layered within the creamy cheese filling on the digestive biscuit base, a refreshing piece of cheese cake that was light to the stomach yet richly flavoured at the same time. If you love Ferrero rocher flavour, you will love this. 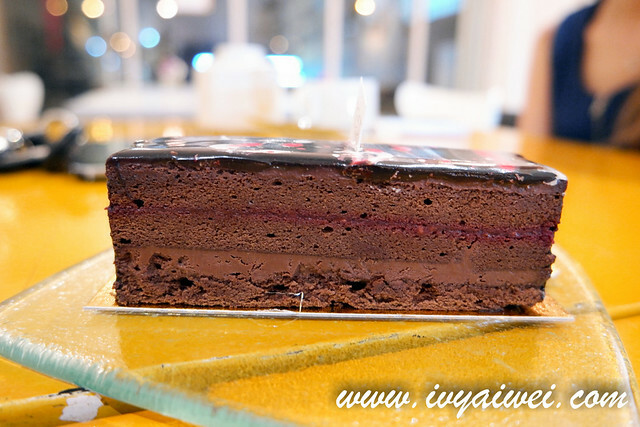 It was chocolaty and nutty. 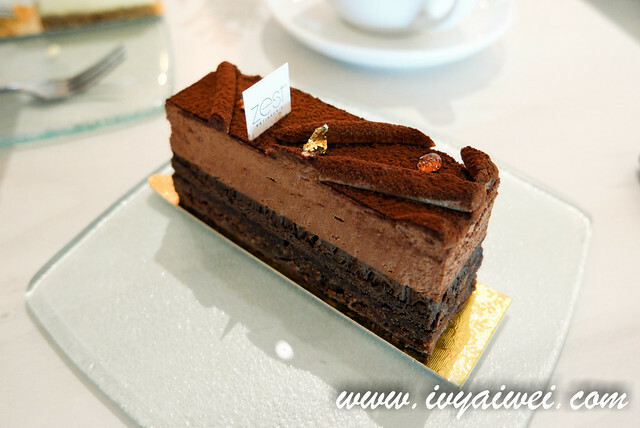 Fragrant with hazelnut and I always love the texture of the crispy flakes of feuilletine, churning in the mousse and sponge layers, creating a complex but pleasant touch on the palate. 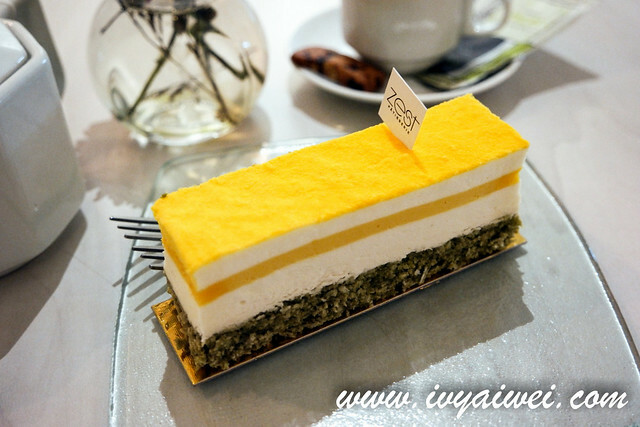 The milky fragrant, the tangy fruity passion fruit and the subtler flavour of matcha, all these components in one piece of delight; such an adventurous creation. However, I am not a fan of coconut, fantaisie is not my kind of thing. One of their new creations and it was really interesting, putting in the spicy into sweet creamy dessert which was able to stimulate the taste buds. Pretty exotic! 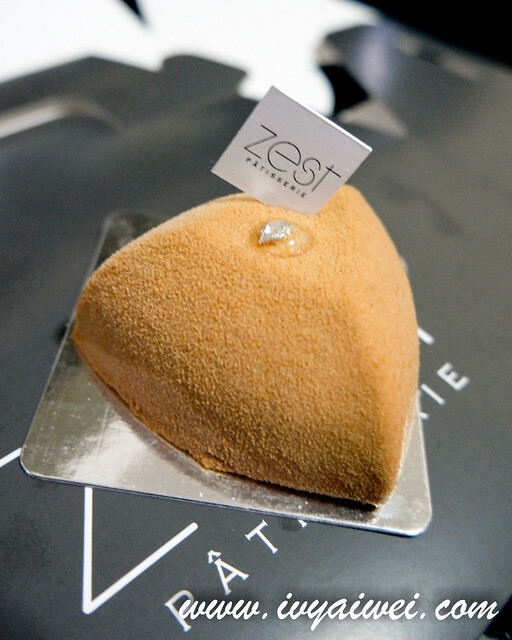 Velvety faint earl grey chocolate mousse covering the mango creméux and topped on the soft fluffy sponge. 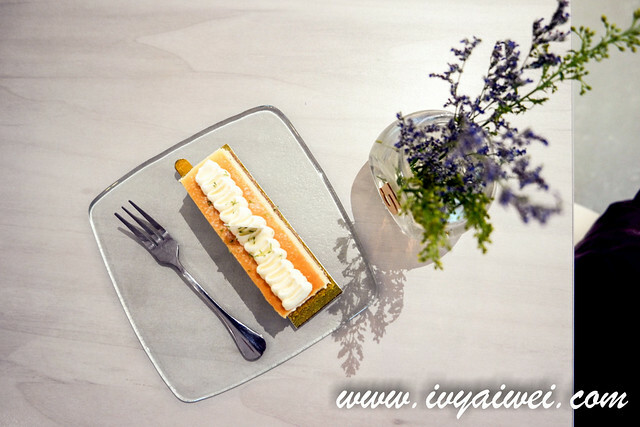 Lavender cream, blueberry compote, almond tart, lavender chocolate creméux, honey sponge. Another new creation of theirs and this is my favourite of all now. 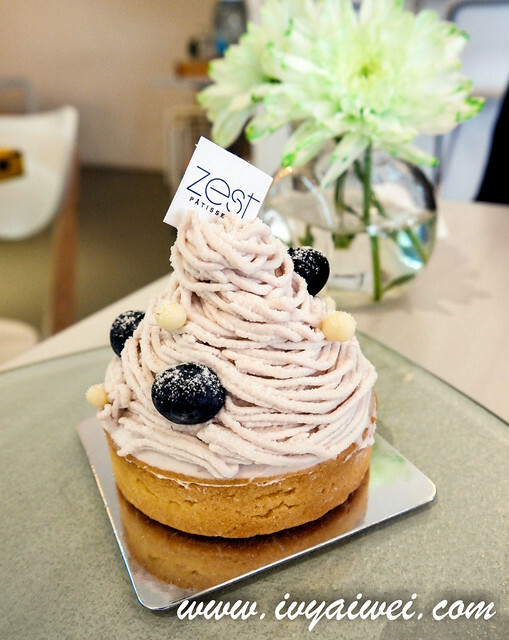 The elegant lavender colour of the soft cream, lightly hints with this lilac-purplish lavender scent, and the fragrant scent sink in between teeth, for a short minute. Good enough, not overpowering, on the soft honey sponge and crumbly buttery almond tart. 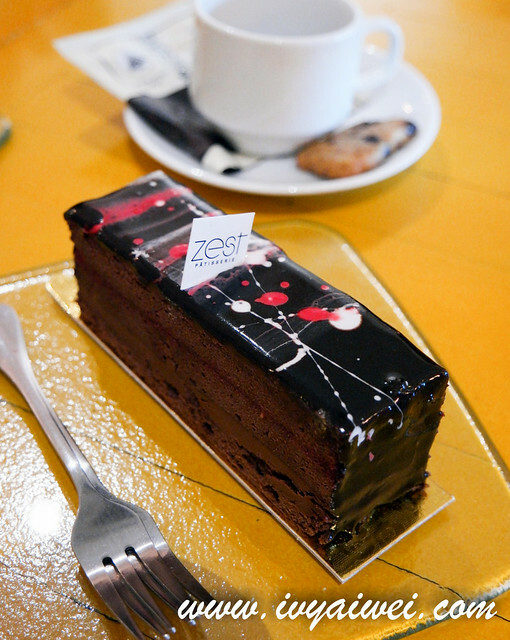 Zest Patisserie serves more than just cakes. They have waffle too! 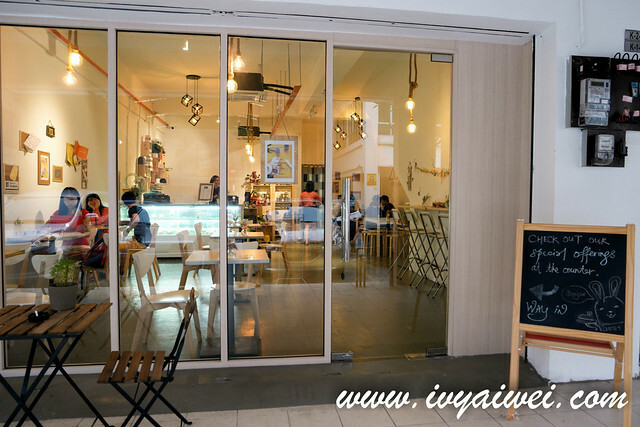 I tried 2 types; one was the salted egg yolk waffle (no photo) which I find that charcoal dough wasn’t really fluffy. But Joli was different. 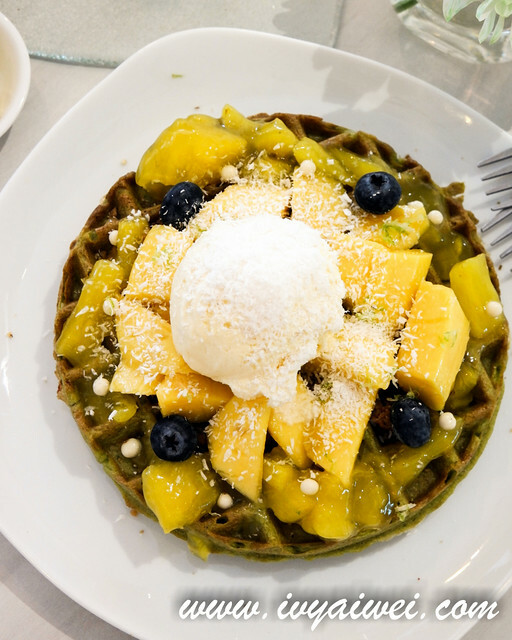 On the fluffy bed of matcha coconut waffle, topped with sourish fresh mango, fresh blueberry, pineapple lemongrass compote, almond crumble, sweet bits of chocolate pearls, flaky desiccated coconut, and a scoop of lemongrass & ginger ice cream. Quiet a special blend as a whole and refreshing indeed. That’s all for my Tuesday tale. 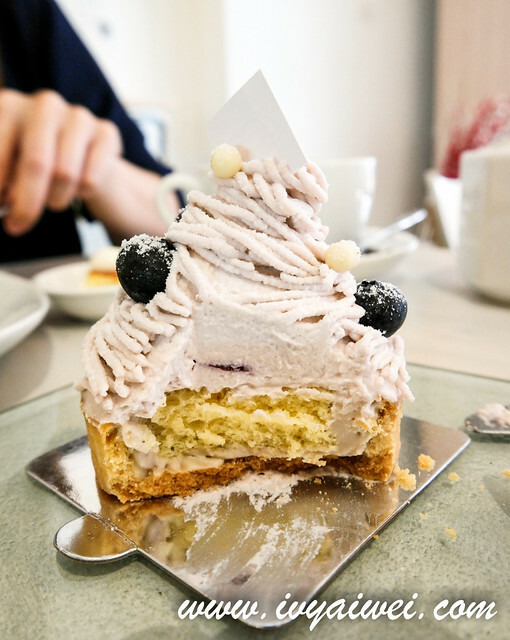 Ahhh, wish I can have a piece of them now, especially the Lavender Tart that is very heart capturing. 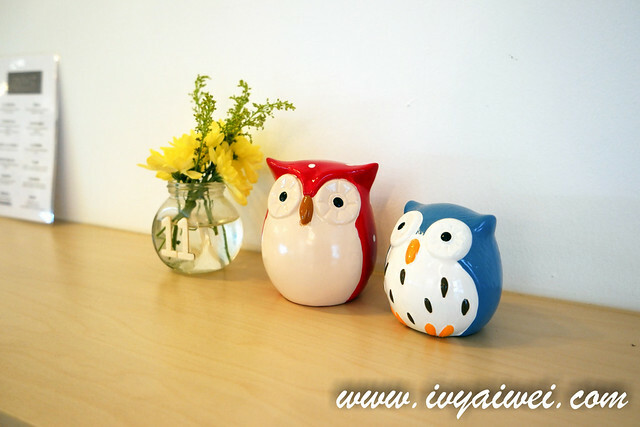 eh, not very tai tai ahhh, this one affordable type. 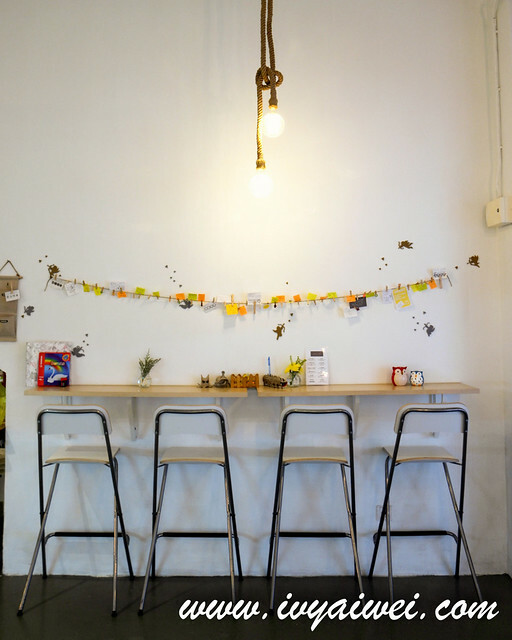 Best hang out spot in cheras KL area especially for students in UCSI! 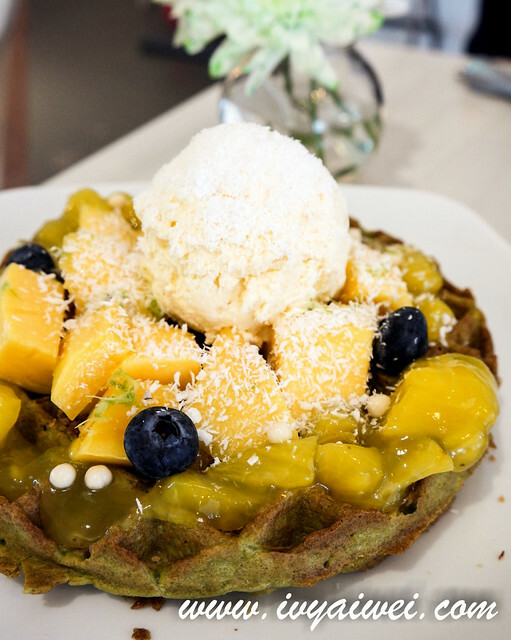 The waffles are fantastic! I can eat 4 at once! Highly recommended and thumbs up!